When you have a plumbing problem, you want it fixed, and you want it fixed fast. 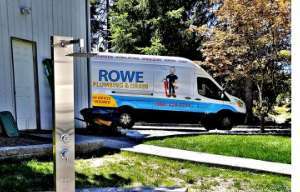 At Rowe Plumbing and Drain, our team of plumbers gets the job done right, with no hassles or surprises, and with the exceptional and reliable service our Clark County customers have come to expect. Call Rowe Plumbing and Drain for all your plumbing-related needs! We do it all: drain cleaning, plumbing drips, clogs and hydro jetting service, water heater replacement and repair, kitchen and bathroom plumbing, water pressure adjustment, water line and broken pipe repair, garbage disposal issues, sewer stoppages — and so much more! 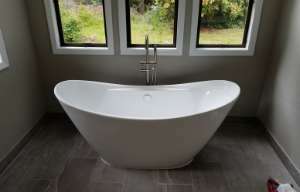 Rowe Plumbing and Drain is Clark County’s full-service plumbing company. We are committed to customer service and we specialize in both residential and commercial plumbing. We serve all of Clark County, Washington, including Vancouver, Felida, Salmon Creek, Camas, Washougal, Cascade Park, Mill Plain, Orchards, Hockinson, Brush Prairie, Battle Ground, La Center, Ridgefield, Woodland and more. Give us a call any time at 360-524-2771. Your home is your castle, and we want to make sure that your plumbing system is maintained in tip-top shape. Call us anytime to schedule service, and the leave the work and worry to us. We understand business — being business owners ourselves, after all. When there’s a commercial plumbing emergency, it’s critical to get help faster than fast. Our highly trained and expert staff has both the equipment and the know-how to get your commercial plumbing problems fixed lickety-split so you don’t lose a single second of business. Entrust your valuable investments with the experts at Rowe Plumbing and Drain. Whether you operate a condo high-rise or an “accessory dwelling unit,” we can take care of any and every plumbing needs that may arise. Undertaking a remodel is one of the most exciting things any property owner can do. The experts at Rowe Plumbing and Drain are trained to identify potential problems and to recommend potential solutions. If you’re going to tear down and start anew, let Rowe Plumbing and Drain be there with you. That way, you’ll have peace of mind knowing you won’t have to worry about your plumbing system. We provide a wide range of services to customers across Clark County and surrounding areas. See our services below. No hot water? Not enough hot water? 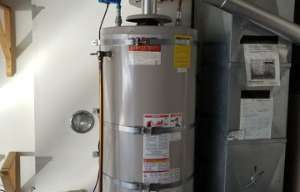 Water heater in need of repair or replacement? 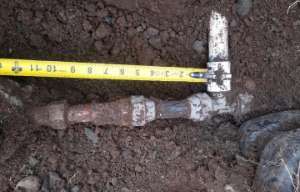 Let Rowe Plumbing and Drain get it working properly again. When things go wrong, it’s best to call a pro to deal with it. 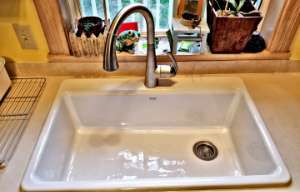 Rowe Plumbing and Drain can fix, upgrade or replace any model of garbage disposal, and we’re happy to provide our customers with tips on how to get the most out of their disposal. 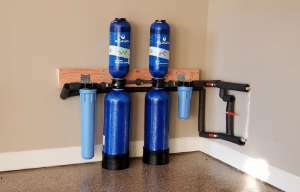 Rowe Plumbing and Drain offers consultations on water softener systems. For all your pipe-related needs, including leak repair, frozen pipe repairs and copper or Pex repiping, you can rely on the swift response and repair team at Rowe Plumbing and Drain. We’ll diagnose the source of the problem and work quickly to get it fixed. When was the last time you checked your outdoor hose bibs? Are they difficult to turn on and off? Are they leaking? At Rowe Plumbing and Drain, our plumbing experts can fix all types of outdoor hose bibs. We can even install one with hot and cold water! For those times when a plunger just won’t do, Rowe Plumbing and Drain can diagnose and solve even the most stubborn toilet clogs — either by snaking, pulling or clearing. Call us today, and let’s get that problem fixed right away. A clogged kitchen sink can wreck a perfectly good evening. Instead of settling in for the evening, you find yourself staring at a sink full of dirty, backed-up water. 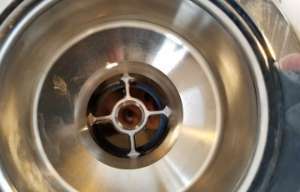 Sometimes it’s a problem with the garbage disposal; other times, it’s a clogged drain. In any event, Rowe Plumbing and Drain can fix it. Bathtub and shower drains are susceptible to clogging due to the tremendous amounts of soap scum and hair that can accumulate over time. With Rowe Plumbing and Drain’s quick and efficient plumbing services, we’ll have that drain cleared in no time. Perfect for pools, mud rooms and outdoor activities, these can be susceptible to clogs from any and everything that lives outside. Rowe Plumbing and Drain is your friendly neighborhood expert to keep your outdoor system functioning properly. Mainline clogs: A property’s mainline is the main sewer drain going from your house to the city’s sewer or septic system. It can get clogged for a lot of reasons. Baby wipes, tree roots or any number of items can clog the mainline. That’s the kind of job for a professional. Give Rowe Plumbing and Drain a call, and we’ll come out and get it fixed.